A big thanks to you guys for supporting my channel. 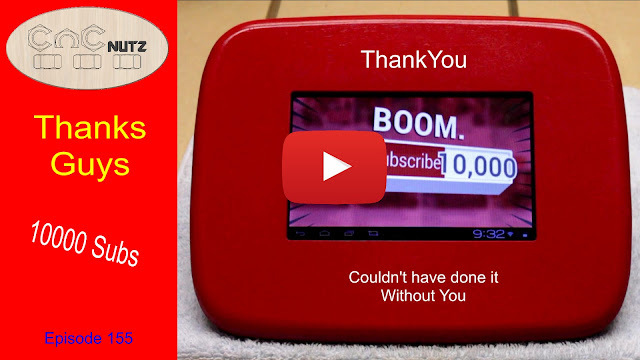 I has now reached 10000 subscribers and to celebrate this milestone I have made a Play button with a difference. I Couldn't have done it without the support of you guys and am honored that you have taken the time to watch my videos and subscribe. To celebrate this Google sent me an animated GIF to celebrate but I thought I would make something a little better. This is what I came up with. This is the first tablet I purchased many years ago and don't really have a use for it so I thought I would use it for this project. I think it cake out pretty good.